Different casinos have different rules for players from different countries. The reasons could be multiple. Off the tops of our collective heads, in some countries licenses don’t allow gamers from certain domains. There are strict rules set by the government that casinos have to follow to avoid problems. In other cases casinos see huge inflows of bonus hunters and therefore prohibit people from that country to take part – that is rare, but it also happens. 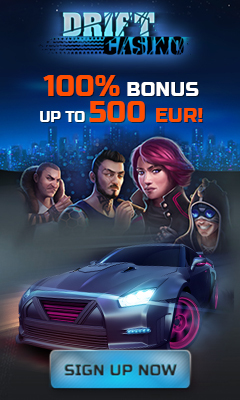 When you enter our site we automatically make casinos that are prohibited in your country disappear – for your convenience. Why Do Casinos Prohibit Players From Certain Countries? Or, to be more precise, why are casinos even illegal in the first place? They aren’t in some countries, where the government’s presence is not very strong, so it relies on taxes from gambling houses as means of additional income (which is necessary). In more prominent economies the government can afford to squash those businesses it considers unethical, although often it’s just the matter of a casino netting large enough profits that it starts to encroach on the government’s territory. The government reasonably thinks it has a monopoly on extracting revenue from the people, so it kicks casinos out so it can make money undisturbed. However, even the countries that have plenty of money rely on gambling revenue when times get tough so it can recover like the US did during the Great Depression. Only certain states, however, get to enjoy the full luxuries of gaming in the US now, like Nevada, Louisiana, and some Indian reservations. Why does that happen? We personally think the answer lies behind the fact that institutions try to stop people from behaving independently in any way they can because that means danger as far as the establishments are concerned. When people think for themselves, they start making their own decisions. On the other hand, we think it is possible that people are just not sentient enough yet to be allowed to enjoy things like alcohol, gambling, and guns uncontrollably, so there are still some restrictions on their usage. However, we also think that interfering with state-controlled mechanisms for money-making also has something to do with it. You know your parents said to you when you were a kid: “Johnny, rather than you being introduced to alcohol by some thug on the street, we will teach you about handling alcohol responsibly ourselves in a controlled environment”? Well, ours didn’t either, but we kind of wish they did (especially these days), because that’s the way it should be: creating a controlled safe space for any activity that could turn dangerous will create an opportunity to keep people safe and keep usage sensible. And that is the way it should be with gambling. You’ve seen what happened when authorities tried to prohibit alcohol: people just went underground and made their own, while consuming just as much stuff, but most of it was pure poison. Result? Horrible, agonizing deaths. We feel that were the government to legalize gambling and handle gamers with care, it wouldn’t have bad rep it does now. However, in most of the world this business, which is harmless in itself, continues to be attacked on all sides. There are, of course, many reasons why that happens. You won’t, for example, find gambling in Shangri Lah because the citizens claim to be happy enough without any additional means of bringing in joy. Lucky them! In North Korea, you wouldn’t have much fun enjoying free gambling just because state regulations are so strict, and the government’s control is very severe. In countries like Brazil gambling is sometimes a problem because of poverty. There is a very strong presence of Catholic Church in most countries, who deem the concept unethical. That doesn’t stop the rich people from gaming and sponsoring casinos offshore or taking part in illegal gambling, of course, so by and large, most gaming goes on underground uncontrolled and often unsafe. This issue is a rather controversial one. While most countries try to do their best to stop casinos from spreading on their territory, most forward-thinking countries work hard on legislation that allow them to legalize gambling. This is a very complicated issue financially also, especially because many casinos do whatever they can for tax “optimization”, as it is politely called now, which means that they contribute as little as possible to the economy and infrastructure, and often escape even having to comply with the country’s official regimen on gambling, like in Gibraltar. Every now and then countries go ahead and close off one particular branch or one type а gambling, which immediately results in an increase of other types and branches of the business. There are many different governments with different members with many different viewpoints, but in general it’s safe to say that if you are after good-natured entertainment, know how to control yourself and balance your bankroll at all times, and don’t view casinos as a source of revenue, your conscience as that of a consenting adult is clean, and you can do whatever you like as long as no-one is getting hurt (therefore we provide the opportunity).